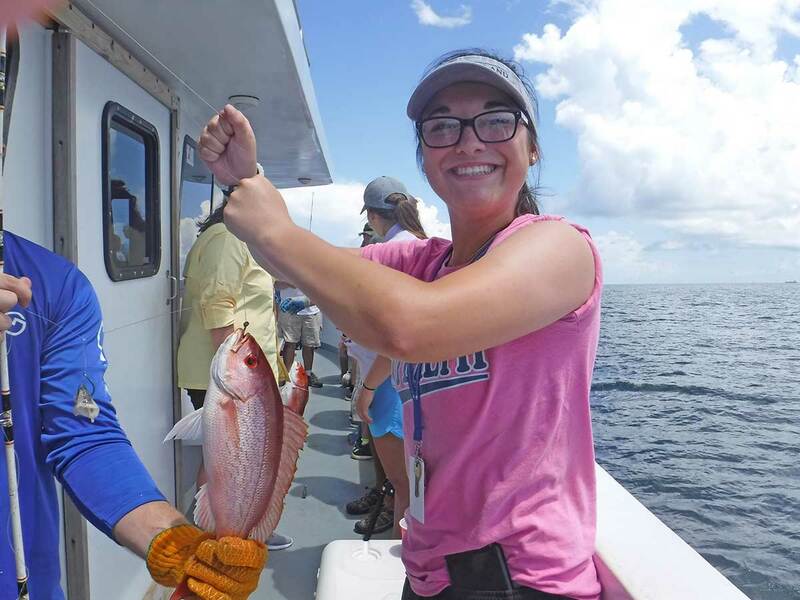 Discovery Hall Programs, the education and outreach group at DISL, has offered a residential class in marine science for high school students for almost four decades. During this month-long summer class, students receive instruction from DISL education and research faculty. 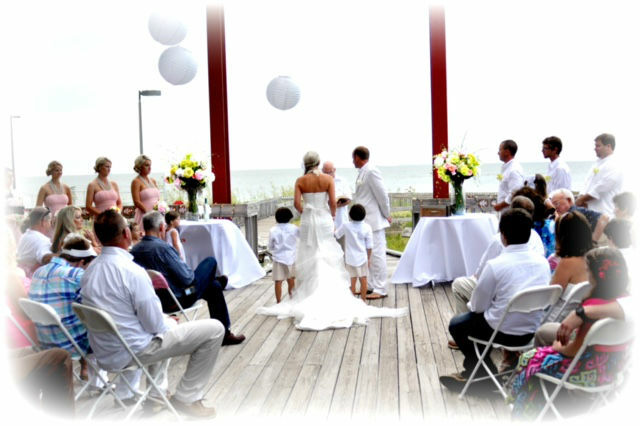 This class is taught using an experiential or hands-on philosophy of educating, immersing the student in the variety of coastal habitats around Dauphin Island and in the northern Gulf of Mexico. For instance, instead of showing pictures of sampling equipment, students head out on DISL vessels and use that sampling equipment. Also, instead of discussing the importance of wetlands and the need for restoration, students visit a number of wetland habitats in the area and witness the critical functions they play in a healthy coast. Not only are students immersed in the field, they are also immersed in the Dauphin Island Sea Lab environment. During the summer, the lab is a very busy place: resident and visiting faculty teach college level courses; colloquium speakers and Boardwalk Talk guest scientists give presentations on new and emerging science; graduate students are engaged in field work and share poster presentations of their research. As a part of the class, students carry out a short research project. This aspect of the course allows students to learn how science is done by doing science. Several have gone on to continue their research back at high school: presentations at scientific meetings and award-winning projects have resulted. 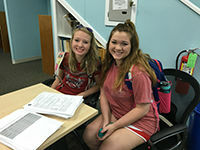 These students also live in the dorms on campus, eat in the newly renovated cafe, and begin to sense the unique nature of a marine laboratory environment. As part of the course, students participate in several field trips away from the island. 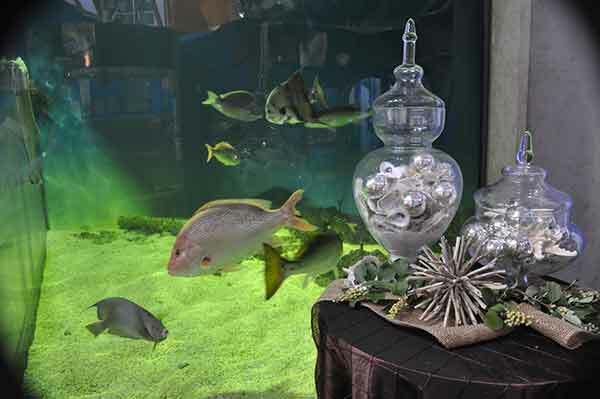 They visit the Audubon of the Americans for a look behind-the-scenes and explore careers in the aquarium business. 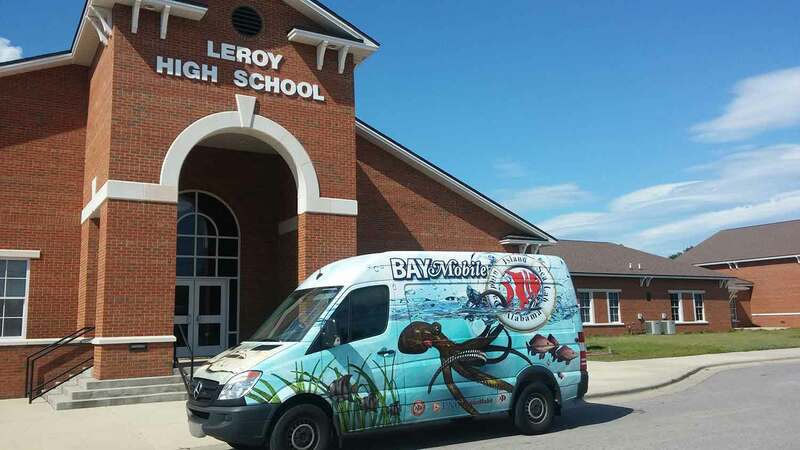 The students tour the Gulf Coast shoreline by bus, noting human impacts and habitat alteration. They also travel to the seagrass meadows and rocky shorelines in the Florida panhandle, observing marine organisms in their natural environment firsthand. For some, this is their first time snorkeling and many students have remarked this literally immersive experience crystallized the class for them. 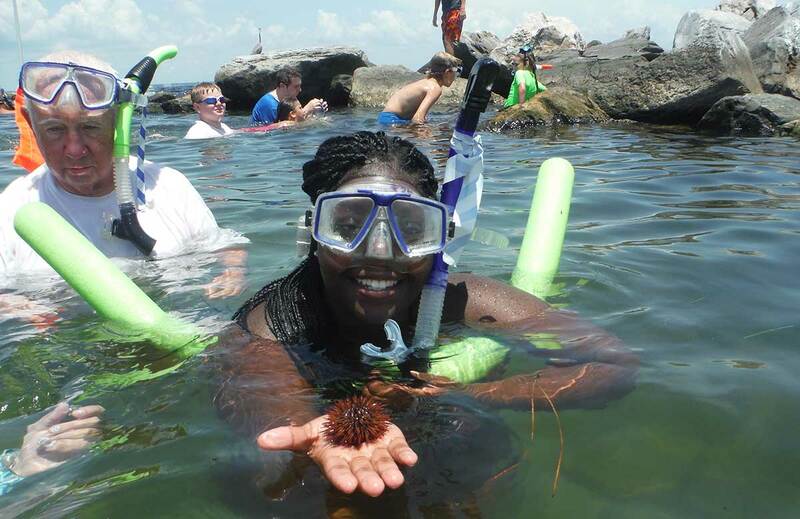 In the past four decades, more than 1,500 students have participated in the Dauphin Island Sea Lab’s high school summer program. The Alabama’s State Board of Education recognizes the strength of the summer course and awards high school science credit to participating students. 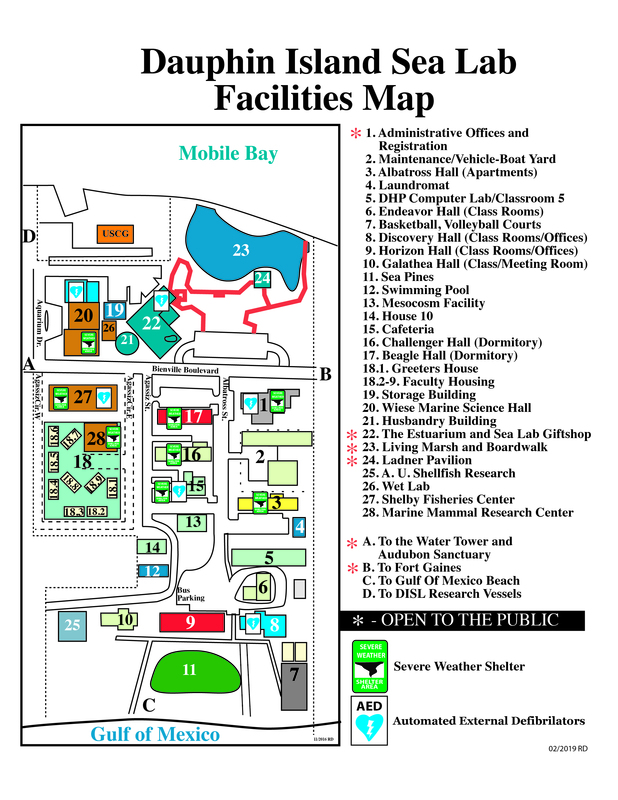 While the Dauphin Island Sea Lab’s goal is not to make each and every student a marine scientist, over the years, participating students have noted many benefits. Students make lifelong friends; students determine whether marine science is a field they want to pursue in college, saving time and money; students feel they gain an advantage in the college applications process when writing about their experience in the class; students feel they develop a deeper appreciation and understanding of the ocean, Alabama’s coast and the scientific process, ultimately becoming better stewards of the environment and more knowledgeable citizens. Discovery Hall Programs is currently accepting applications for Marine Science Course for High School Students 2018 experience. Click here to learn more about the course. If you have questions, email DHPSummer@disl.org or call 251-861-2141, ext 7515.